The team at Shutter Tours loves how an image can come to life in the darkroom, but the digital age has taken that joy away along with the nasty chemicals. This post from Photojojo may bring back some of the joy of at least trying to thread the negatives onto the reel. “Okay, first things first: using coffee to develop film is not something Ansel Adams would do. But it works, it gives your film a distinctive look, and it has a certain MacGuyver-ish flair. Think of it like using a plastic camera- it’s more about having fun than getting technically flawless results. With most film types, the results will be more contrasty and grainy than regular developer. If you do this with color film (negatives or transparencies), you’ll end up with black-and-white negatives. 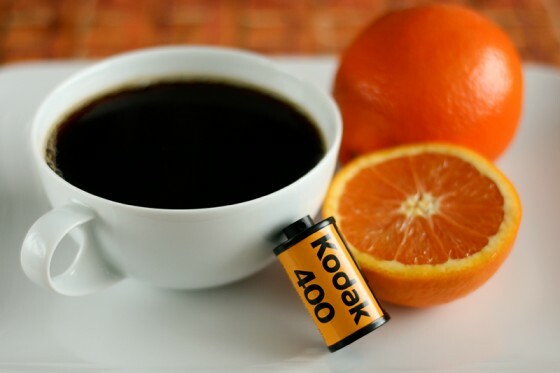 This entry was posted in Announcements and tagged coffe, darkroom, develop, film, negatives, vitamin c. Bookmark the permalink.